Like classic French nails, a half moon manicure has a limitless number of variations. For instance, the shape of the half moon detail can be anything from tiny edgy moons to a classic oval. You can also play with textures, the moon detail can be done in loose glitter or kept bare, i.e. negative space or cut out details. 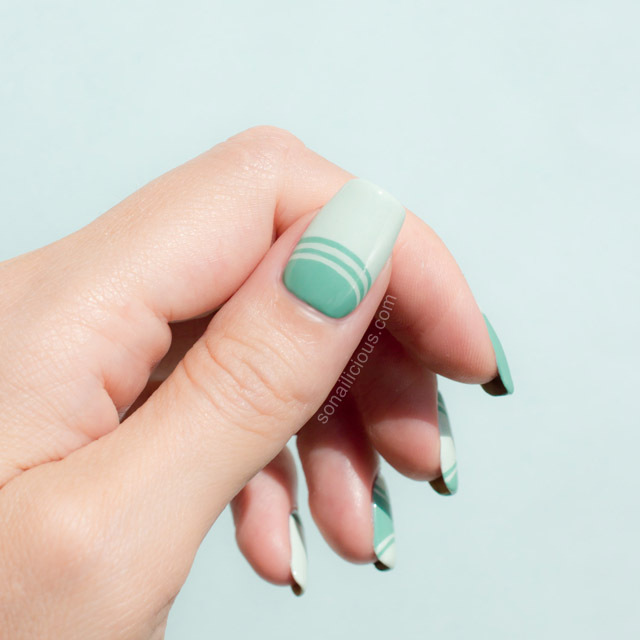 Finally, you can draw tiny patterns inside the moon or do an outline like I did for this mint coloured half moon manicure. That should be enough to get your creative juices flowing so let’s have a look at how you can do this half moon manicure yourself. Paint index and ring fingers in dark mint colour and the rest in light mint. Now using liner nail art brush, paint half moon details with light mint polish on index and ring fingers*. 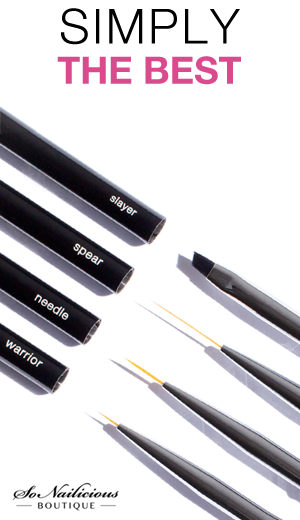 Using the same brush and polish, add thin lines resembling the half moon detail on your ring finger. Repeat step 2 on middle and little fingers. Repeat step 3 on middle finger. Clean up around cuticles while waiting and paint two layers of quick drying top coat. Done! 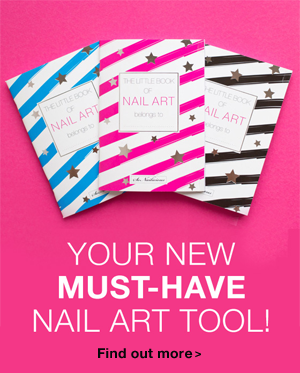 * You can use special French manicure stencils to do the half moon detail but then you’ll have to wait for your polish to be completely dry before attaching the tape to your nails. 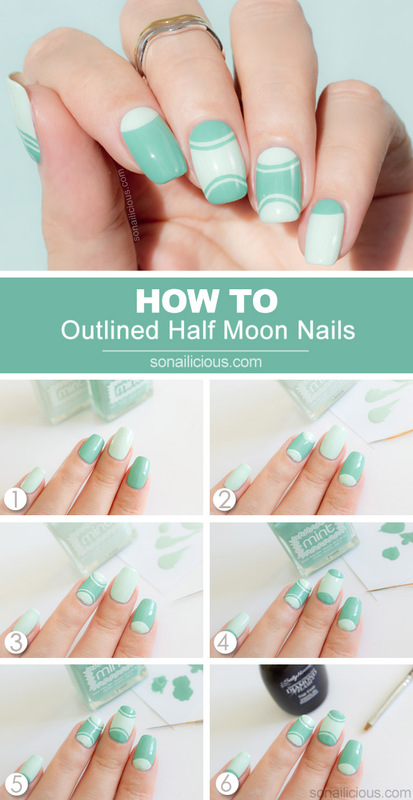 For more info just on how to do half moon details refer to this half moon manicure tutorial. Sally Hansen Diamond Flash top coat. So what do you think about this outlined Half Moon manicure? How do you like the Mint colours?